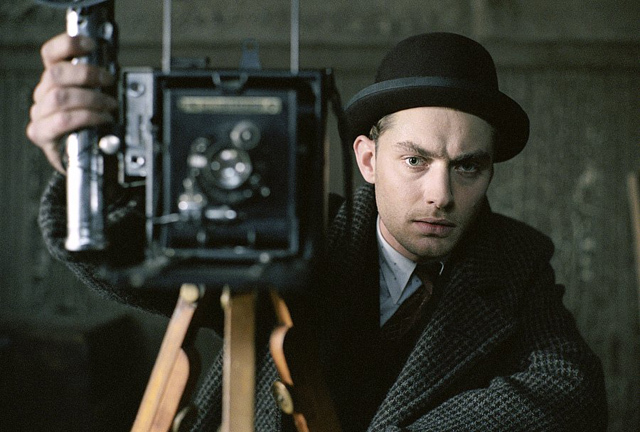 Director Sam Mendes’ brooding Mob drama Road to Perdition got its high-definition Blu-ray debut on Aug. 3, 2010. Starring Tom Hanks, Paul Newman and Jude Law, 2002’s Perdition grossed $104 million during its theatrical run. Paramount Home Entertainment’s Road to Perdition tells the story of Mike Sullivan (Hanks), a hit man for the Mob boss who must go on the run after his son witnessing a killing. Based on the graphic novel by Max Allan Collins and Richard Piers Rayner, the movie is set against the Great Depression and features the cinematography of the late Conrad Hall, who won an Academy Award for his work on the film. The 117-minute, R-rated movie was nominated for five other Oscars: Best Supporting Actor Paul Newman, Best Art Direction, Best Original Score, Best Sound and Best Sound Editing. A documentary tribute to Hall, “A Cinematic Life: The Art & Influence of Conrad Hall,” will be included in high-definition on the disc. Perdition was one of the last films of Hall, who also shot Mendes’ American Beauty, among others. The last three were on previous releases of the film on DVD. The Blu-ray was priced at $29.99.